Yesterday Donna posted the first block in the sampler quilt she is hosting. Quilt-a-longs are so good for me because I am forced to make new blocks that I otherwise wouldn't try. I am a lazy quilter. I like easy. For my sampler quilt, I am going to use my precious Bonnie and Camille fabrics. Oh I like it Ruby is one of my favorite lines. Yours is the second block I've seen... Both are are using terrific fabrics! It's a darling block! I'm trying to get up enough nerve to try my hand at one!! 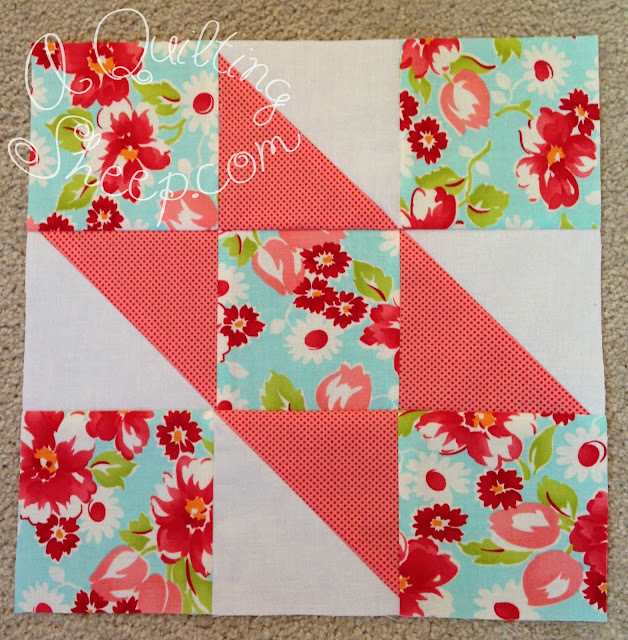 Lovely block and the fabrics are beautiful. Amy your block turned out great. Love the fabrics. Love your block. You do such nice work!